Some people think that crossbows give you the function of a gun with the ammunition of a bow. You can hunt archery season and get more range than that guy with a compound! Awesome! We're on easy street from here on, boys! Other people think they just look like jolly good fun, and they certainly can be. 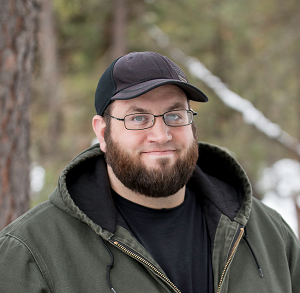 However, just like handgun hunting or anything else, there are a few things to know first. The first thing to know is that crossbows don't fire arrows; they fire bolts, and crossbow bolts can come in a number of sizes. It all depends on the crossbow you're looking at. Smaller models - often called a pistol crossbow - often feature a very small bolt indeed, less than 10 inches in length. Such bolts are usually just a metal shaft with a sharp(ish) tip attached to it. Then you have the larger, full-size versions. These crossbows have a stock, much like a rifle, and many can even be fitted with or come with optics. These would be the hunting crossbows that have begun enjoying some popularity in recent years...but also have been causing some trouble. More on that in a bit. In the case of the latter, bolts are often referred to as arrows. There's good reason; they are basically identical. Crossbow bolts for hunting have all the same features, including removable tips (in case you want to shoot broadheads for deer, elk or turkey) a nock and even fletching. (That's the feathers.) However, they are much shorter. Crossbow "arrows," you see, are generally about 18 to 22 inches in length, as the string is shorter and doesn't stretch as far as with an actual bow. 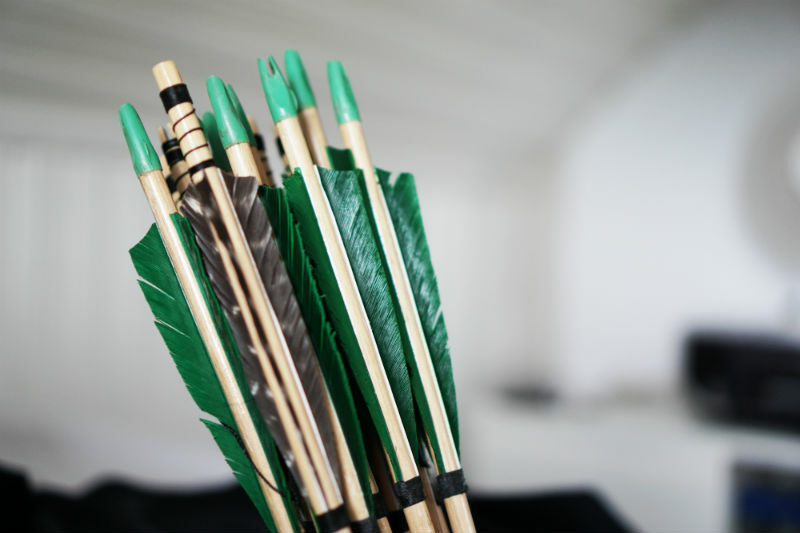 Arrows are more on the order of 26 to 32 inches in length. So, in case you're wondering, they aren't really designed to use the same ammunition. Obviously, crossbows have a lot in common with regular bows since the mechanism by which the projectile is sent downrange is the same. There are recurve and compound crossbows, just as there are compound and recurve archery bows. Additionally, there is a correlation between arrow weight, draw weight and velocity. The lighter the arrow and the heavier the draw weight, the faster the projectile will fly. However, the greater the grain weight, the greater the energy but also the steeper the drop over distance. After each shot, you must re-draw the string. However, a principle difference is that a crossbow is easier to draw than a bow. Instead of using the arms and the back, you put your foot in the stirrup at the front of the frame and just pull up until you reach full draw and engage the sear, cocking the bow. Another difference, however, is the draw weight. A 70-pound bow is on the heavy side of the middle of the road for a hunting bow. Typical crossbow draw weights are on the order of 150 to 160 pounds. As a result of the greater draw weight, a velocity for a crossbow 300 fps or above is not unheard of. Many budget models boast of velocities upward of 350 fps or above, and velocities over 400 fps are not common, but much beyond 430 fps is rather uncommon. It isn't exactly 10mm but it's nothing to sneeze at. That sounds awesome! Add some optics and you'll put a trophy whitetail in the freezer every year! That has to get you more range than the typical bow. So...think you're ready to start crossbow hunting, huh? Easy way to take advantage of the longer archery season, hmm? First, let's talk about range and also for intended use. If you're looking at crossbows just to shoot and have some fun, then this doesn't apply as much to you. The range is whatever the maximum distance you can accurately hit with your crossbow. However, if you're looking at crossbow hunting, then that's another matter. There is a difference, you see, between a maximum range and a maximum effective range, or the furthest distance at which a bolt (or arrow) can reliably down a live target. For, say, a .300 Winchester Magnum rifle, the maximum effective range is close to - if not more than - 1,000 yards. Many hunters attest that any range beyond 400 yards - maybe 500 at the most - is a very dicey shot for most shooters and stretches the definition of "fair chase." 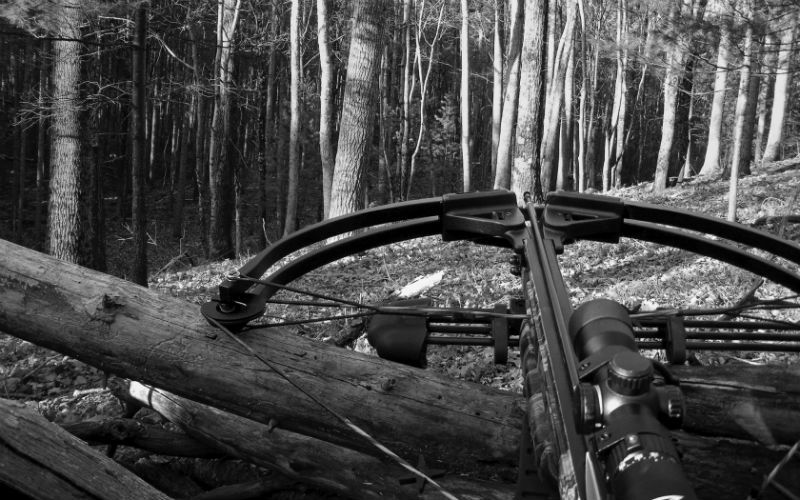 For the typical bow, 30 to 60 yards is about the maximum effective range for most archery hunters. Some have a hard limit of 70 yards with their set up, others have a hard limit of 40. It depends on the archer, draw weight, grain weight of the arrow and their accuracy with it at that distance. For a crossbow, the typical effective range is a bit more than that...but not a heck of a lot more. You're looking at an effective range closer to 80 yards. Again, crossbows easily achieve a velocity of 350 fps+, whereas only a few compound bows are capable of the same feat. Finding a crossbow capable of 400 fps or more is not difficult; there are no factory compound bows as of right now that turn that trick. However, there's a few inherent problems. First, there's the effective range of one and then there's what YOUR effective range with one is. Ask archery hunters - or rifle hunters, for that matter - and they'll mention that there's a distance they don't feel comfortable shooting beyond. Before you get into the field, you have to get onto the range and figure that out for yourself. A clean miss is one thing. Wounding an animal is quite another. Also, every state is different when it comes to crossbow hunting. Some states permit crossbow hunting during archery season, others only permit their use during modern firearm season. Others only permit their use during muzzleloader season, and some only approve their use during periods when archery and modern firearm seasons overlap for the same game species. A few states only permit their use for disabled hunters, and at least one state - Oregon - totally forbids their use for hunting. 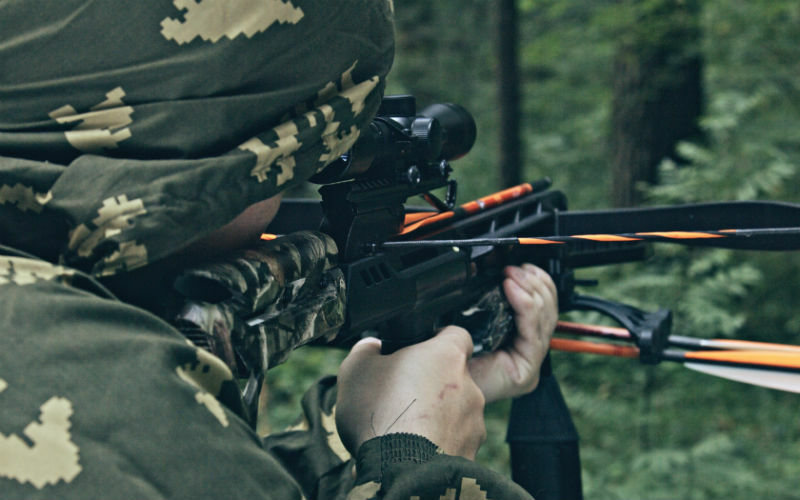 Make sure you consult your state regulations before purchasing a crossbow for hunting, as you need to be in compliance with them. Should I Wear A Gun Belt While Hunting?